When it comes to winter skin care, you can’t afford to mess around. We all know this radical climate can wreck beautiful skin, but how do you fix and protect your skin without causing further damage? This can be a tricky task, especially for those with sensitive skin. Fear not, your health-conscious friends here at OrganicSkinCare.com got you covered. Without further ado, here are The Top 5 Secrets to Keep Your Skin Moisturized In the Winter. Believe it or not, when it comes to your skin, sometimes it’s really what is on the inside that counts. Most people don’t drink enough water and in winter, hydration is extra critical. To keep your skin looking full yet supple you need to drink at least 16 oz of pure H20 per day. Herbal teas with antioxidants are great but they should be used in addition to your daily water supply. Pure distilled water is the greatest detoxifying agent for your body and fewer toxins mean bright, glowing, beautiful skin. Heavily caffeinated and sugary drinks should be avoided at all costs. Caffeine saps mineral nutrients from the body and sugar dehydrates the skin like crazy! Carbonated drinks with artificial sweeteners won’t cut it either. Not only are they unhealthy but they won’t fix the cracking itching problem at all. Don’t worry, drinking mostly water becomes easy after about a week and you won’t have to drown your flakey cheeks in tears to keep them soft anymore! Not only will your beautiful skin thank you but your overall health will be better than ever. Our next pro tip remains beneath the surface. The importance in nutrition in order to keep skin cells bursting with vibrant life can’t be overstated. Diet effects skin as much if not more than the environment over time. When it comes to fullness and skin tone fats are the ultimate secret. Incorporating healthy fats in your diet not only improves moisture retention giving you a smooth, younger, healthy appearance, it also fights the inflammation that usually leads to breakouts. The best skin empowering fatty foods to add to your regular diet include Olive oil, Coconut Oil, Avocados, Nuts, Seeds, and Salmon. The powerful skin healing vitamin E in Olive oil makes it essential during the winter months. Coconut oil’s inflammation stopping, lauric acid is great for all the organs of the body and the skin is no exception. Avocados are all the rage and it should be no surprise. The collagen they help produce keeps in moisture giving your skin that plump and desirable shape. The omega fatty acids provided by nuts, seeds, and fish keep skin firm and tight which keeps aging to a minimum. Coconut oil and Olive oil can also be applied to the skin itself in small amounts. This gives your lovely epidermis maximum protection from the elements. Be careful not to over do it though, as too much oil can actually leach moisture and cause the body itself to produce too much oil, to try and compensate. An evenly applied teaspoon each day will keep the wrinkles away! ***This should be done in addition to your existing skincare routine for maximum benefit. This might be the least secret tip of all. Heat can cause serious dryness, causing you to crack, peel, and itch like no other. The best thing you can do is try to minimize exposure and take extra care when you have to face the heat. Taking showers that are a little less hot can be a true test of will when it’s cold out. Try instead to shorten shower sessions and only expose sensitive areas like the face when you absolutely have to. Saunas can be extremely enjoyable when the snow falls and the body gets sore. They are okay, just don’t overdo it. Short frequent sessions are far better than Long ones. The infrared saunas actually increase blood flow, which keeps your skin tone even with regular use. Tanning is horrible for your skin but if you insist on doing it in the winter, we have two words for you “Organic Lotion”. Lotions should be applied any time you face extended exposure to heat or cold. They are your best chance at moisture retention and it’s important to be picky when it comes to your skin. You don’t want to just slather toxic sludge all over to keep some extra water in! One of the most overlooked secrets is proper exfoliation. When it comes to this practice a lot of people go overboard, causing the skin to break and become damaged. Exfoliating is good but in the winter it can be devastating to sensitive skin. It’s important to take note of your personal skin sensitivity and develop a well-rounded game plan, based on your personal needs. During the cold season, you may want to replace standard items like a loofah or brush or sponge with a softer alternative. Cotton balls are a great, subtle way to exfoliate the face with delicate precision. Getting rid of dead skin cells makes moisturizing products more effective but there is a delicate balance to be maintained. Taking your time and using soft focused motions it way more effective than just swiping over the skin with abandon. Anything worth doing is worth doing right! Loofahs need to be thrown in the trash. Scientific studies now show that they have the potential to transmit bacteria-related diseases, when not properly maintained and who wants an extra headache? Using antimicrobial cloths is a much smarter and easier way to brush off those head, shoulders, knees, and toes. Showers are a breeding ground for bacteria so your strategy should account for this accordingly. Take good care of your skin and it will take good care of you! The ultimate moisturizing secrets can be found right here on OrganicSkinCare.com. Our products aren’t just made from anything. When it comes to your skin, we take things very seriously. We carry products that use only the best ingredients, to ensure you stay looking stunning and healthy all year around. Here are the 3 best moisturizing products to pick up for this winter or anytime. 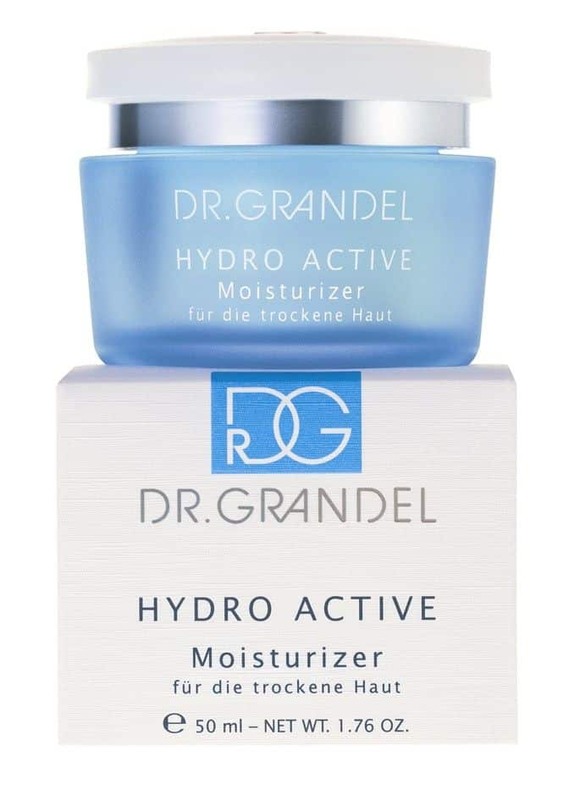 If your skin has really moisture problems, Dr. Grandel Hydro Active Moisturizer is the product for you. 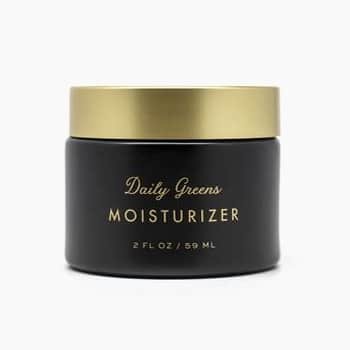 For the people who want only the absolute best Sorella Daily Greens Moisturizer is the holistic fix that heals and nurtures the skin with very rare benefits. Sorella Apothecary’s Daily Greens Moisturizer is a milestone in the science of skincare mastery. Through careful engineering, they have developed a formula that doesn’t get caught in the catch 22s that most elite moisturizers do. It hydrates without clogging pores or encouraging sebum production which causes the skin to be oily and break out. A nutritious vitamin cocktail of A, B, C, K, and E is built to heal the skin while increasing moisture absorption at the same time! It’s organic antioxidants actually cleanse the pores giving your face that beaming radiant glow that only the best products on the market can. These three products together are the holy trinity of maximizing moisture. 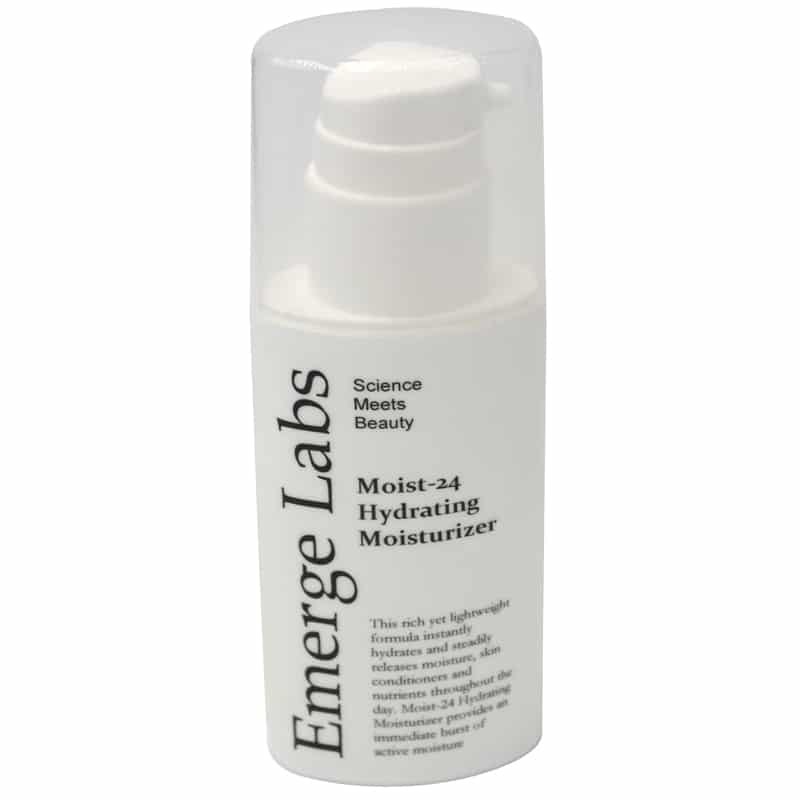 Starting with moist 24 each morning and before bed will get you the best results faster. If you have sensitive skin Hydro Active is best applied before bed, to lock in moisture overnight during the relentlessly dry winter. Sorella Daily Greens is the best for detailed spot care treatment on problemed areas or after you get out of a hot shower. Doing the while following some of our other tips will make your winter skin care regimen absolutely complete. For the best deals on the products that will revolutionize your skincare, subscribe to our email list here and follow us on social media. We send out details about new product and deals all the time so you can get the best organic products in your inbox, just a click away when you need them. This entry was posted in Organic Moisturizers. Bookmark the permalink. Are Organic Skin Care Products Worth it?